Specialist Jazz reissue venture set up by Michael Cuscuna and Charlie Lourie in 1983. Since 1984, Cuscuna has been a special consultant, producer, and reissue director of Blue Note Records, providing him with “trusted ” status with access to the vaults and original master tapes. 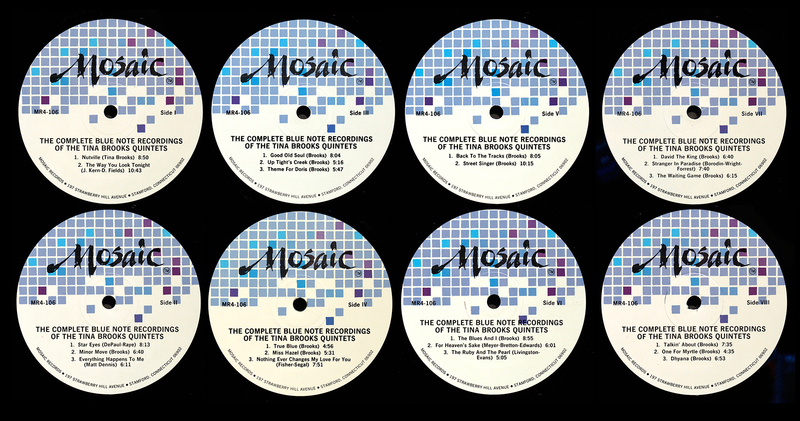 Starting out with Limited Edition vinyl box sets, Mosaic now releases only CD editions. Out-of-print limited edition vinyl box-sets are especially sought after. These are “audiophile quality” pressings on slim and near-silent vinyl – not heavy – but very high audio quality within the limitations of the original source. The condition of vinyl in second-hand sets is usually immaculate as played only by discerning high-end collectors on high quality audio equipment. 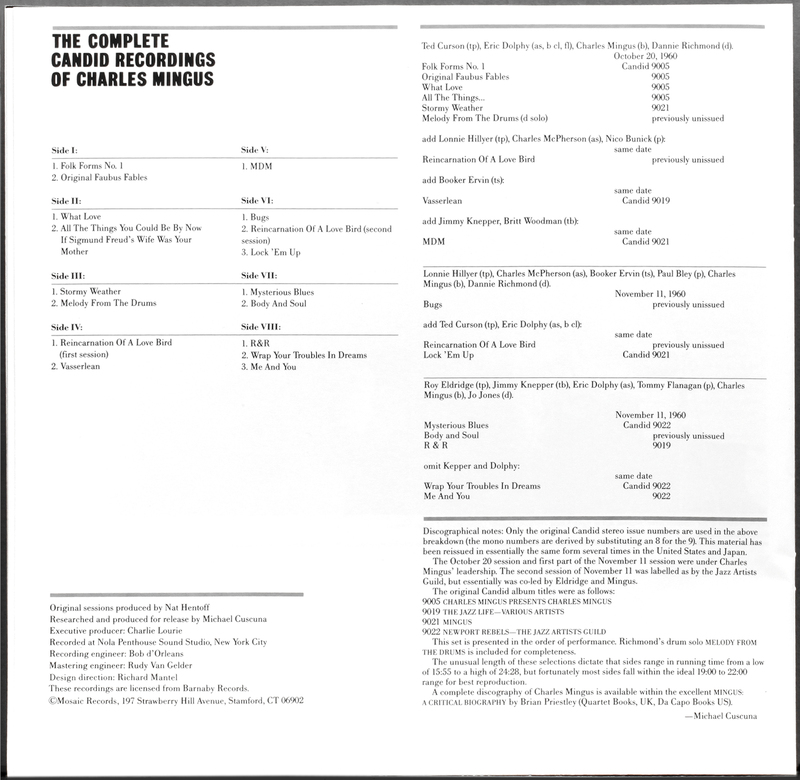 EMI’s audio-engineer Ron McMaster mastering found on many of the box sets ( Mastered by McMaster – does that sound an improbable name and career choice?) McMaster’s engineering does not always have the bite you hope for. Woah! 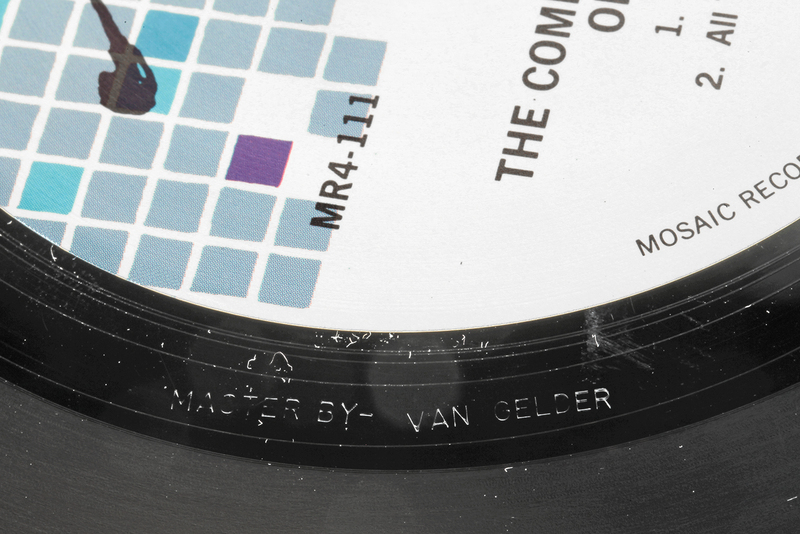 Legendary Rudy van Gelder brought in to master the Mingus tapes from Candid Records – sonically exceptional – the depth and timbre of Mingus’s bass captured by Van Gelder is quite remarkable. 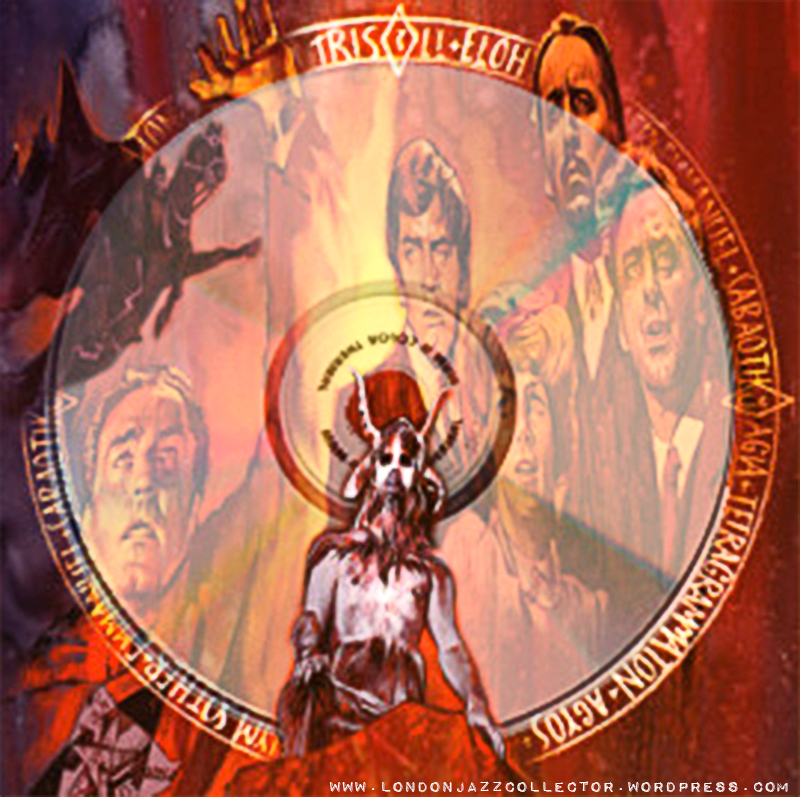 Limited editions – most seem to be a run of 7,500 boxsets. Secondhand prices on out-of-print sets range from £50 to £200 according to scarcity and desirability. Ebay purchases carry a significant postal cost due to the weight of these box sets, and in the event of returns, expensive likewise. or the relationship between vinyl and The Evil Silver Disk:. So apparently we are wasting our time with vinyl, it’s dead. Someone please tell alll the hifi manufacturers. A vast and profitable industry making turntables, tonearms, cartridges, isolation platforms, as evidenced at the recent National Audio Show, yet the availability of VINYL to play on this beautiful equipment is frustratingly absent. You don’t follow markets, you make them. I have the Complete Blue Note Recordings of Albert Ammons and Meade Lux Lewis on vinyl. Three superb LPs in a more than informative box with one of those nice LP sized booklets in it. I bought it on eBay for $45, advertised as near mint and so they are. They look and sound absolutely like new, especially after we cleaned them on my neighbor’s VPI. I don’t share Cuscuna’s take on the future: the mere fact that we’re looking at 239 (!!) completely sold out and now out of print reissues that still change hands for big money amongst collectors on eBay is the ultimate proof that he can continue with Mosaic without a problem. I was born and raised not a quarter mile away form the mosaic offices in Stamford, Ct. Well i see his point. 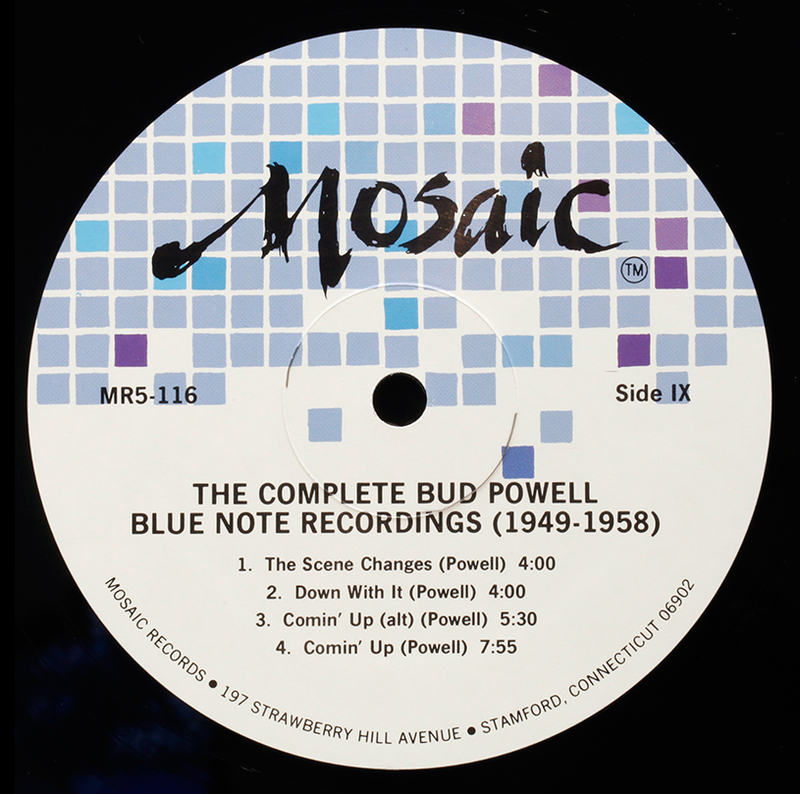 How many of us have purchased a newly Reissue blue note record lately? I’m proud to say that I supported Classic records and own most of their reissues and was dissappointed when they shut their doors. If it wasn’t for Classic records, I wouldn’t be collecting blue notes today. I haven’t had the pleaure of purchasing any of the 45 rpm reissue. It a two way street. They need to put out a quality product. 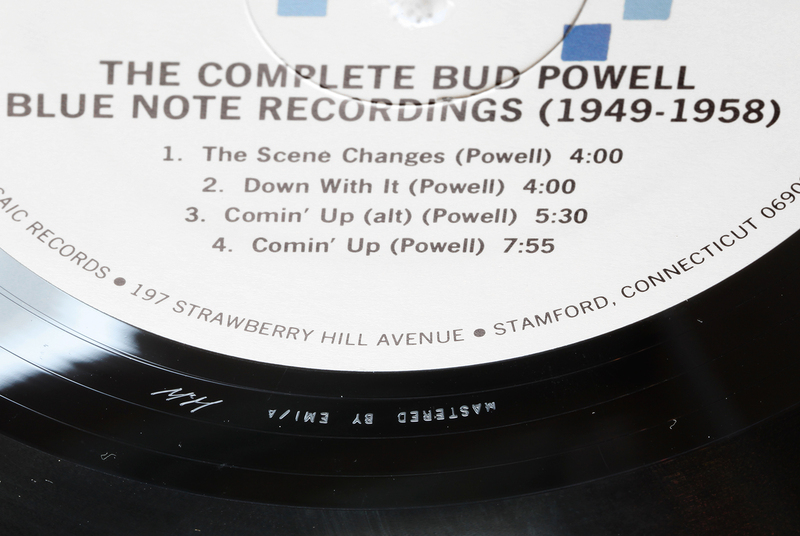 60+ years later and they can’t replicate the quality of those earlier blue note pressings!! Michael…..Why is that?